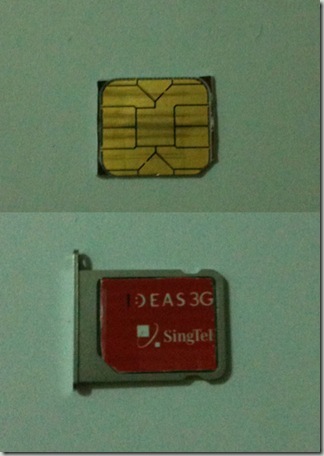 I refuse to pay an extra $20, for a smaller SIM card. 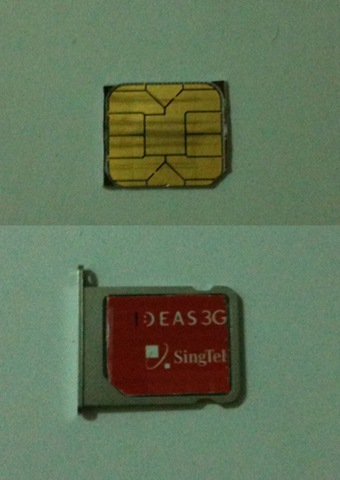 With dignity, I cut my Singtel standard SIM card to fit for my iPhone 4. As you can see, it is not hard. Just cut around the metal piece.